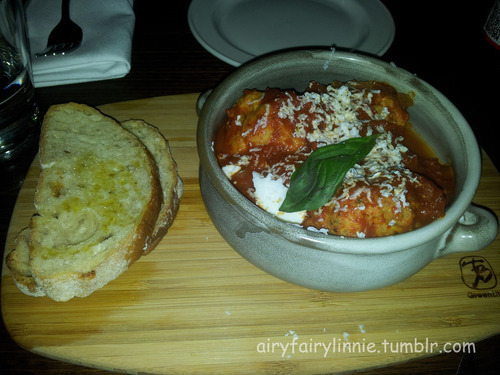 For entree we had a share plate of veal and pork polpette with with tomato sugo, salted ricotta, basil and ciabatta. To be honest I had no clue what it was and I was glad we ordered it. The polpette on its own was a little bit bland but when eaten with the rest of the dish, it was amazing. Next up was my grilled lamb rump with fried potato gnocchi, broad beans, fennel cream and jus and YES everything was perfect. 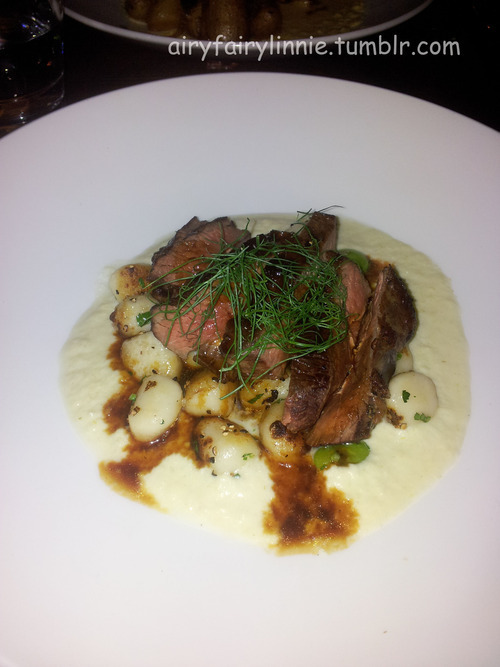 The lamb was cooked to medium where it was pink and tender and the gnocchi, my gosh it just melts in my mouth. 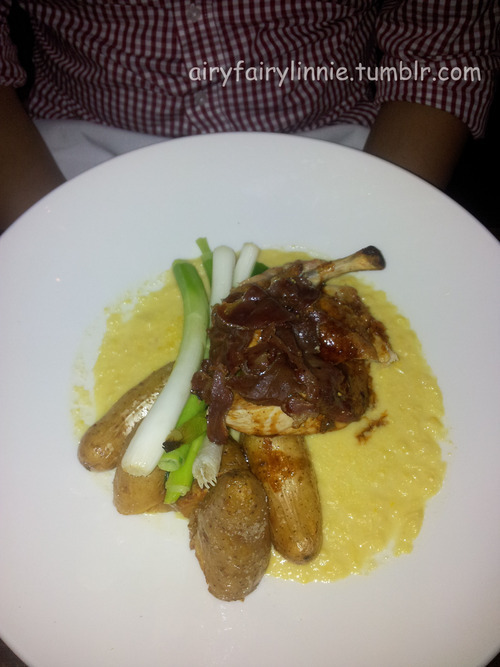 We also had the free range chicken breast with roast kipfler potatoes creamed corn, spring onion and crispy speck. To be honest, loved my main more but Mr D loved his chicken and couldn’t get enough of it. Yes both mains looked teeny tiny on the ginormous plates but don’t let that fool you because it was much bigger than we thought it was. Of course we couldn’t end date night without dessert. Being at an italian restaurant, what did we opt for? TIRAMISU!!! The coffee, the fruits, the praline! What more do I need to say!! 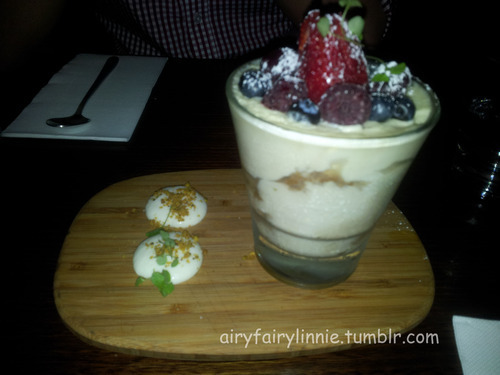 I would come back because not only was the food amazing, the service was top notched too! !